We have all heard of the face on Mars. In July, 1976, Viking Orbiter 1 was acquiring images of the Cydonia region of Mars as part of the search for potential landing sites for Viking Lander 2. 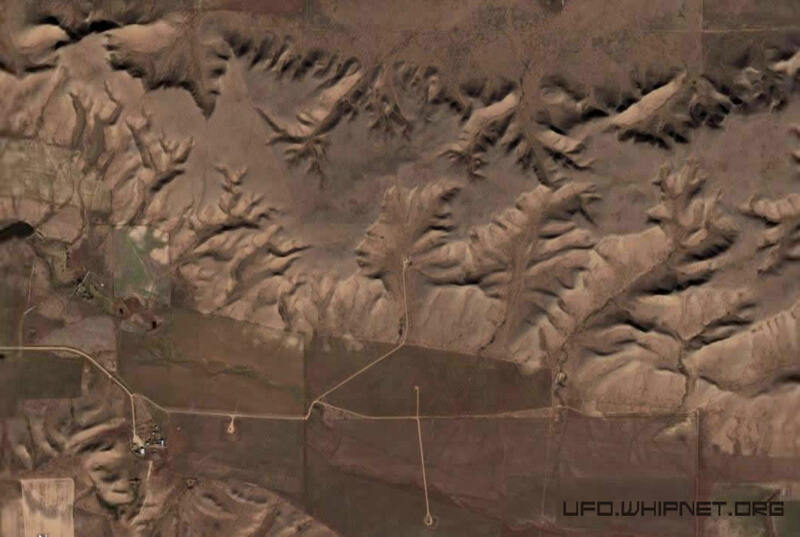 On 25 July, 1976, it photographed a region of buttes and mesas along the escarpment that separates heavily cratered highlands to the south from low lying, relatively crater-free, lowland plains to the north. Among the hills was one that, to the Viking investigators scrutinizing the images for likely landing sites, resembled a face. 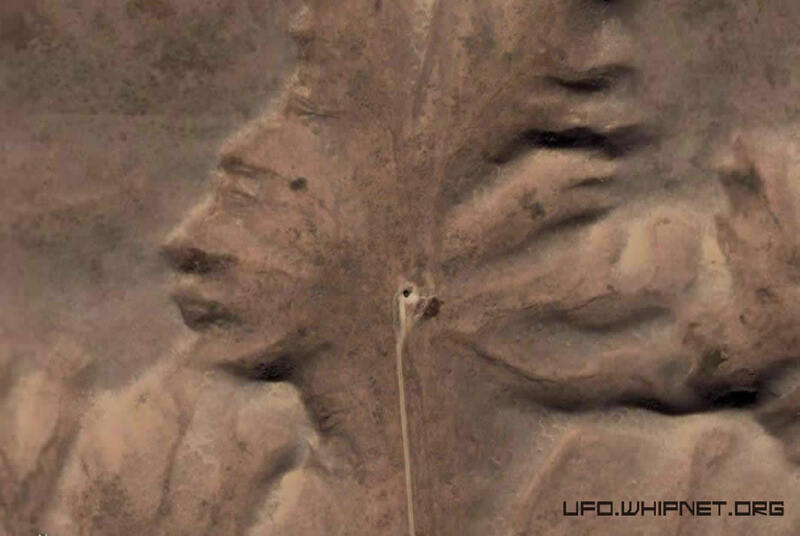 Now thanks to satellite images of Earth, a face or what appears to be an Indian head has been discovered in southwestern Canada. And upon further inspection, he appears to listening to an Ipod. Placed by aliens? The land sculpture can be found 180 miles SE of Calgary. About 70 miles north of the U.S. border. Exactly 50° 0'38.20"N 110° 6'48.32"W for those who want to check it out themselves personally, or more easily with Google Earth. The above picture is at 4500ft making this thing about ¼ mile across. At 12000 feet the Indian head is still quite visible. The "Ipod earphones" are actually a road that end in a large hole. Looks like it could be a mine. I wonder if the people that drive on this road even realize what it is. 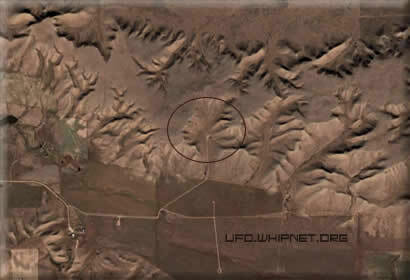 Anyone with further information on this is encouraged to contact us here at ufo.whipnet.org. See full indian head image at 4500 ft.
See full indian head image at 12000 ft.